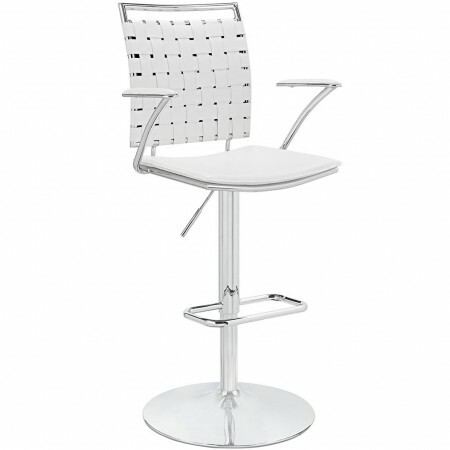 Fuse white adjustable height bar stools with arms can go from 38 to 47 inches up. 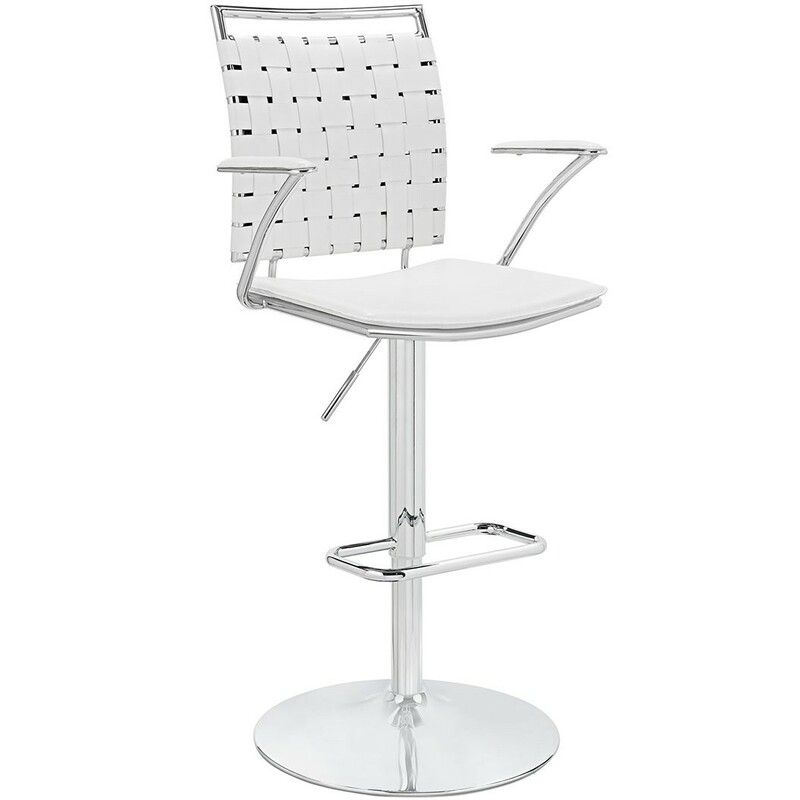 Minimalist modern style PVC webbing cushioned seat and chrome plated base with footrest. 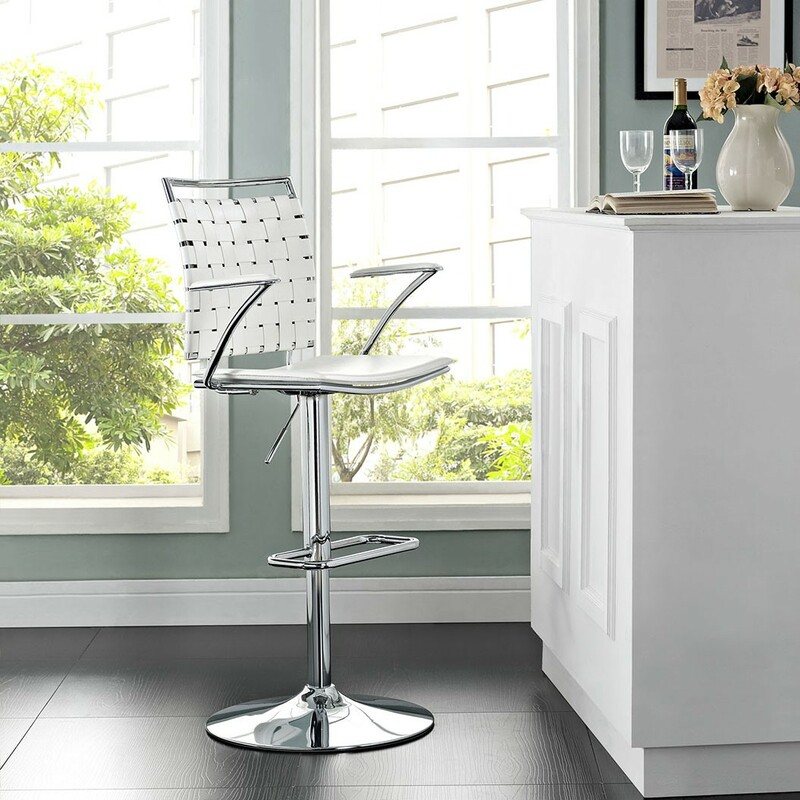 These durable white bar stools blend in any decor offering perfect solution for a home or restaurant.